Habitat for Humanity of Elkhart County provides sustainable long-term housing for families in Elkhart County. The regional office needed a strategic development plan to guide their fundraising and volunteer coordination efforts. Eyedart conducted a comprehensive review of the organization’s giving history, strategy, and tactics. It identified opportunities and laid out a strategy and recommended implementation steps in a development plan. 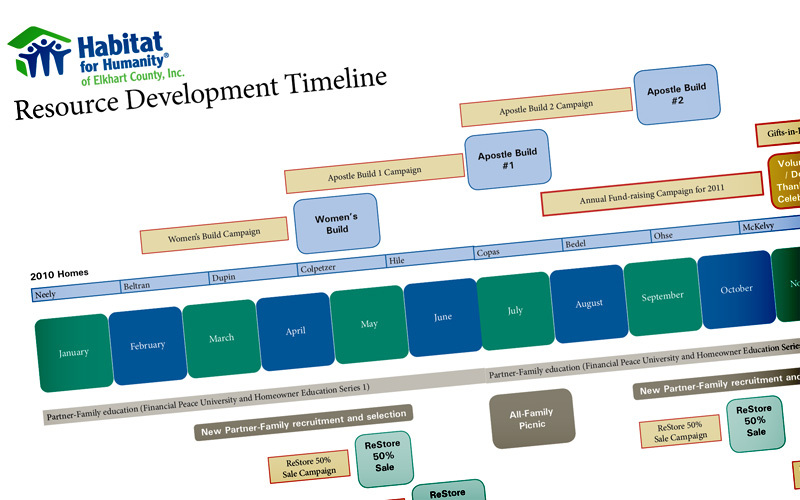 The plan, created in 2010, continues to serve as the foundation for Habitat EC’s annual fundraising strategy. The organization continues to build on this foundation for its annual campaign as well as targeted capital campaigns.